The 2018 Ultra4 MetalCloak Stampede was held at Prairie City State Vehicle Recreation Area on May 11-12, 2018 and a local Can-Am team from Loomis, CA dominated the race. Phil Blurton and Beau Judge from No Limit came into the UTV race scene a few years ago and secured a factory sponsorship from Can-Am. The team focuses on the Best in the Desert race series where they won the championship in 2017 in their No Limit built Can-Am Maverick X3. In February of this year, Blurton and Judge also took on King of the Hammers for the first time in a new Can-Am Maverick X3 X RC. While Blurton isn’t new to rock crawling, he had very little experience in a UTV. Over 120 racers started with only about a dozen finished. Among the finishers were Blurton and Judge in their X3 RC. 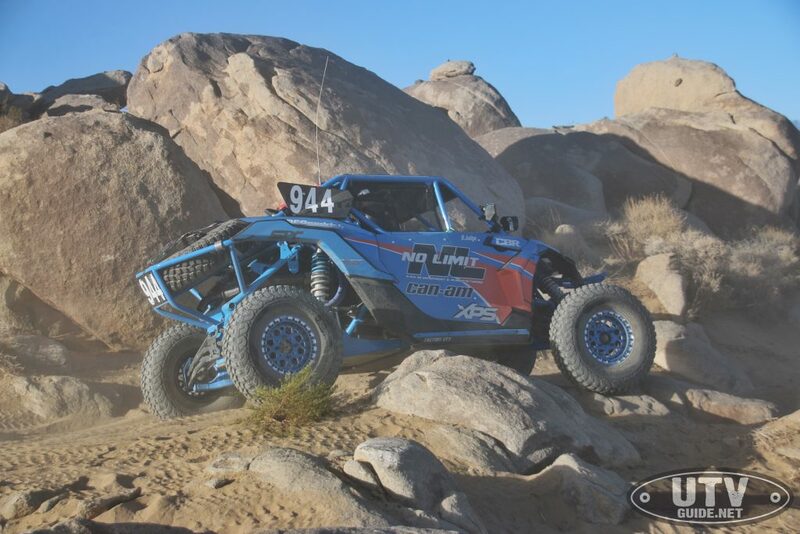 With the teams success at King of the Hammers, Blurton decided to take on the full Ultra4 Racing western series. Next up would be the Ultra4 MetalCloak Stampede at Prairie City State Vehicle Recreation Area. The only issue with the decision was Blurton was unavailable due to a prior committment. 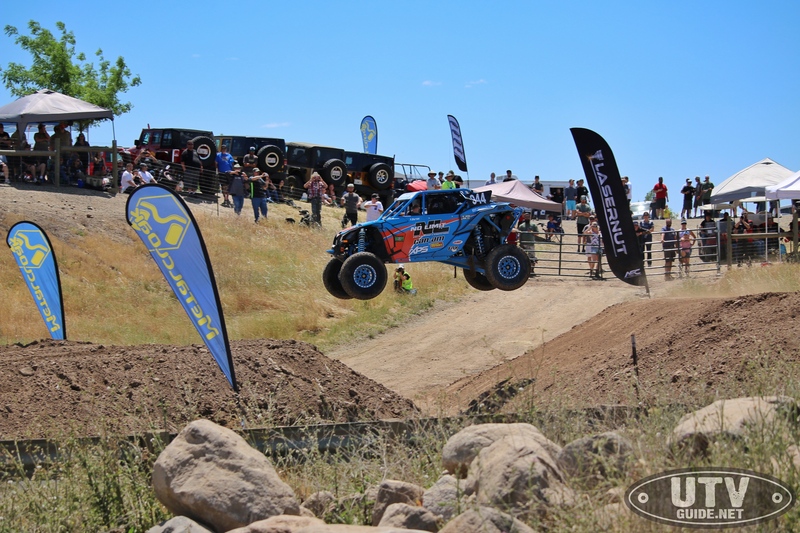 Ultra4 Racing rules allow one substitute driver during the year, so the plan moved forward with Beau Judge jumping behind the wheel for the Stampede. The good news for the driver switch was Judge is definitely not a rookie to racing at Prairie City. He has dominated UTV racing there for Nor Cal Rock Racing and VORRA series. 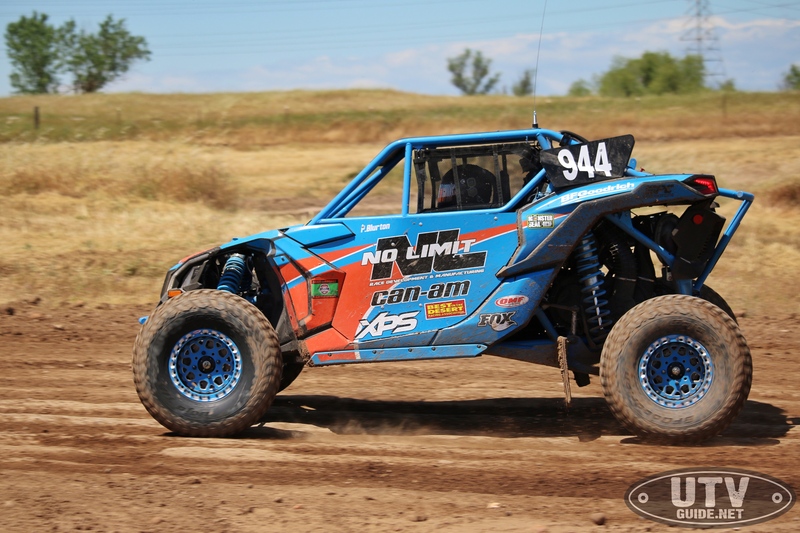 The No Limit team was fresh of a second place finish at the Best in the Desert Silverstate 300 the week before, so the team had a full plate of work to prepare for the Stampede. Racers got their first chance to check out the 2-mile course on Friday during practice. 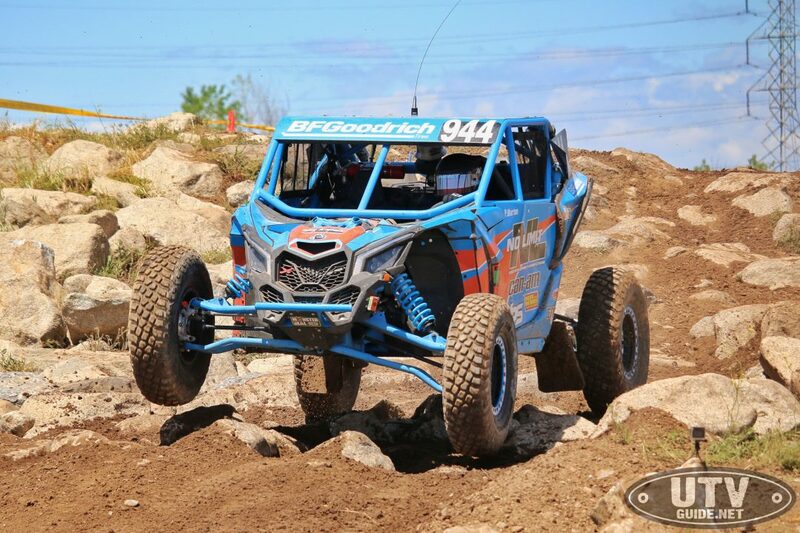 The course consisted of tight turns, whoops, jumps, high-speed straightaways and rock sections. Beau Judge went right to work learning how to rock crawl in the Can-Am Maverick X3 X RC. Later in the day, Judge would qualify second. Early on Saturday, UTVs raced in two heats with the top seven from each heat moving on to the main event. Judge started in the first row in the second heat and not only grabbed the hole shot, but also lead the entire race. 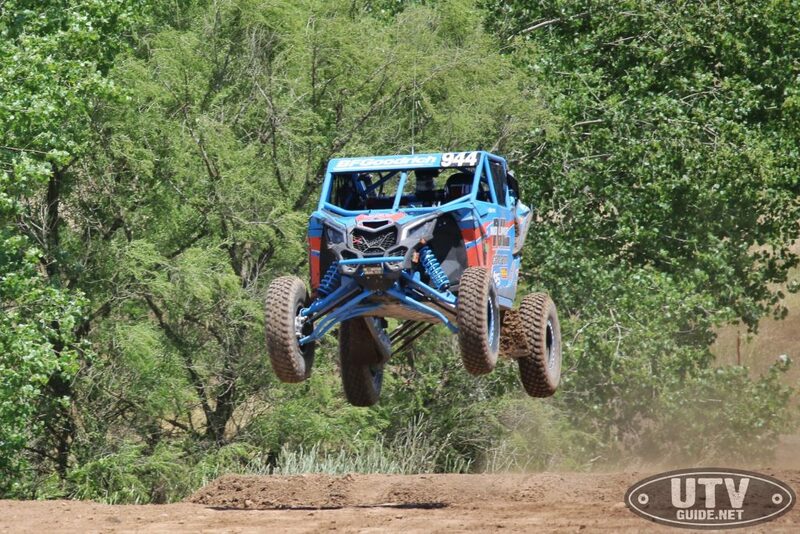 Judge lined up in the first row again for the UTV main and jumped out front at the start. The main event consisted of six laps and the rough course took its toll on competitors with a several dropping out after breaking. Judge was smooth and fast and led the race start to finish. 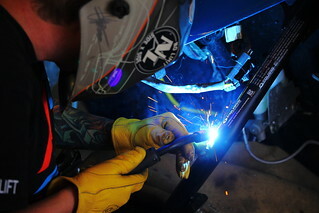 Next up for the Ultra4 Racing western series will be the Holley EFI Clash at Cross Bar Ranch in Oklahoma on August 10. After that the series heads to Ridgecrest, CA and then Reno NV. 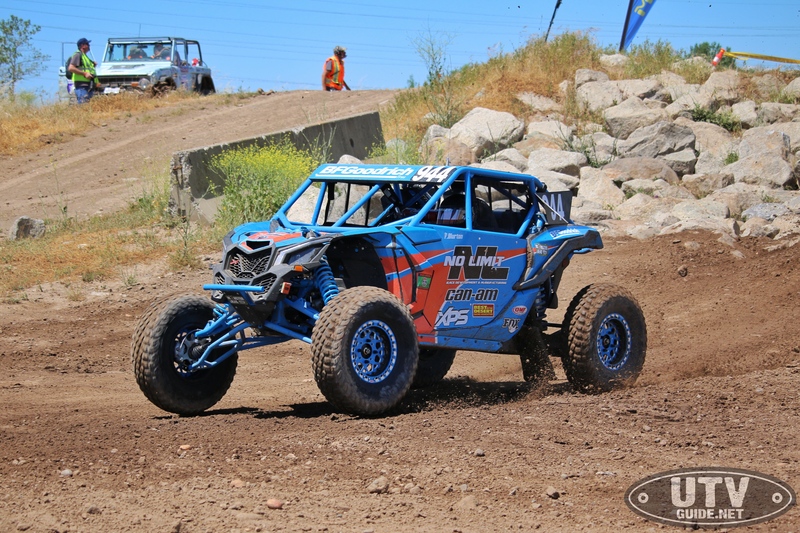 Blurton/Judge are sponsored by No Limit, Can-Am, BF Goodrich, OMF Performance, Superior Powdercoat, Factory UTV and AiM Sports.